Late evening arrival in Delhi. Get transferred to your pre-booked hotel for staying overnight. Post breakfast, embark on a walking tour of Old Delhi attractions, covering Raj Ghat and Jama Masjid. In the afternoon, after lunch, drive towards New Delhi for visiting the India Gate, Qutub Minar, Safrdurjung's tomb, President's House, Humayun's tomb and the old residences of the British Viceroys. 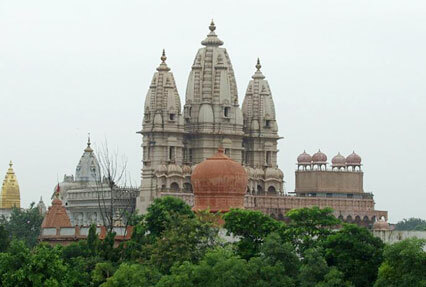 Later, visit Chattarpur Temple, Yogmaya Temple and Lakshmi Narayan Temple for Darshan. Stay overnight. After breakfast, get transported to the domestic airport to board a flight to Bangalore. On arrival depart by road for Puttaparthy, the holy abode of spiritual figure Late Sri Sathya Sai Baba. On reaching Puttaparthi, check-in your pre-booked hotel. The day is free for you to explore the surroundings, interact with the locals and more. Overnight stay. On the 4th day of the tour after breakfast, leave your room for a full day exploration of Puttaparthi including a visit to Sri Sathya Sai Baba Ashram, known as Prasanthi Nilayam ashram. It is a major crowd puller and is visited by devotees from all around the world. Stay overnight in the hotel. 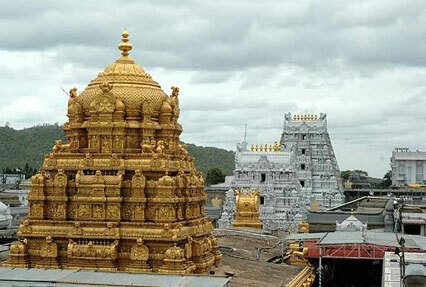 After breakfast, bring driving to Tirupati, one of the most well-known religious sites in the southern region of India. On arrival, get transferred to your hotel. Today you visit Tirumala Venkateswara Temple, popularly known as Lord Balaji Temple. It is worldwide second richest pilgrimage center, after the Sree Padmanabhaswamy Temple in Kerala. Stay overnight. In the morning, after breakfast, hit the road to go to Chennai, the capital of Tamil Nadu. 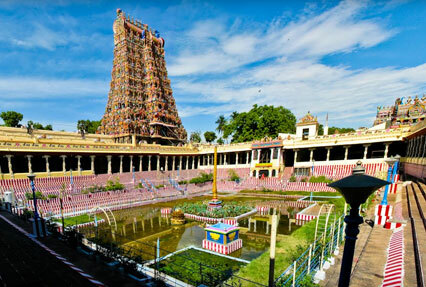 On reaching Chennai, complete the check-in formalities and leave for half-day sightseeing in Chennai that may include Kapaleeshwar temple, Fort St. George, Marina Beach etc. Overnight at hotel. After breakfast on day 7, depart by surface for Mahabalipuram. On the way, visit Kanchipuram, well-known for some of the most beautiful temples of the Hindu sect in South India. Visit the various temples including the Sri Kanchi Kamakshi Amman Temple, dedicated to Kamakshi, one of the forms of Goddess Parvati. On reaching Mahabalipuram in the evening, check-in at your hotel for staying overnight. If time and energy permit, you can take a stroll around the place. Today after breakfast, you visit Thiruannamalai that houses the Ramana Maharshi ashram, founded by Bhagavan Sri Ramana Maharshi, the famous Vedanta Advaita (Non-dualism philosophy) saint. 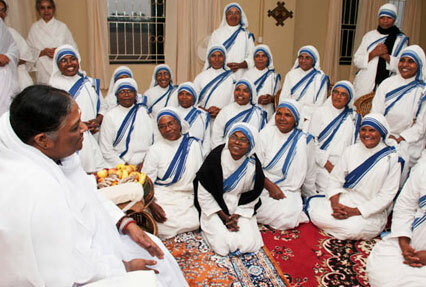 Observe the daily spiritual activities being carried on. You can also visit other local attractions including Arunachaleswara Temple and Virupaksha Cave. Return to Mahabalipuram for night stay. Post breakfast, get an assisted transfer to the domestic airport to catch flight to Madurai. On reaching Madurai, complete the check-in formalities at your pre-booked hotel. Later, visit the Meenakshi Amman Temple for Darshan. This temple, dedicated to Goddess Parvati and her consort Shiva, attracts thousands of devotees every day. The rest of the day is free for leisure activities. Overnight stay. After breakfast on the 10th day of the tour, leave for half-day city tour of Madurai that may include Thirumalai Nayakkar Mahal, Koodal Azhagar temple etc. Post lunch; hit the road to Kanyakumari, formerly known as Cape Comorin. Move to your pre-booked hotel for staying overnight. After breakfast, indulge in sightseeing in Kanyakumari, including Vivekananda Memorial Rock, built in 1970 in the honor of the visit of Swami Vivekananda. 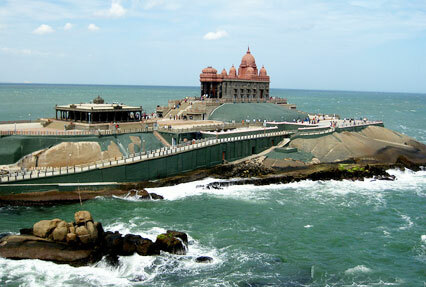 Kanyakumari, deriving its name from Hindu Goddess Kanyakumari, is one of the well-known tourist destinations in the country. Your visits may also include the Padmanabhapuram Palace, Kumari Amman Temple, Gandhi Mandapam etc. Stay overnight. In the morning, visit Mata Amritanandamayi Ashram to seek the blessings of Mata Amritanandamayi and attend her spiritual program. Later, proceed to Trivandrum by road. On arrival, get transferred to your pre-booked hotel. Indulge in sightseeing including the famous Padmnabhaswamy temple, dedicated to Lord Vishnu. Stay overnight. After late breakfast, get on-time assisted transfer to the airport to board a flight to Delhi. After reaching Delhi, you be transferred to a restaurant for Farewell Dinner and afterwards to the IGI Airport to board a flight for your onward destination.